Wakodahatchee is a man-made wetland which has become a favorite for birders and photographers. Bring your binoculars and join us for a FREE ¾ mile morning or afternoon guided boardwalk tour to learn more about Florida’s wetland birds and ecosystems. 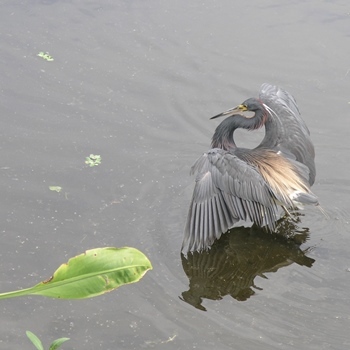 Meet our Gumbo Limbo naturalist at the Wakodahatchee Wetlands boardwalk in Delray Beach. Ages 7-adult; children under 18 must sign-up and participate with an adult. Reservations recommended. Online registration will close 24 hours before the start of a program. Walk-ins welcome based on availability.